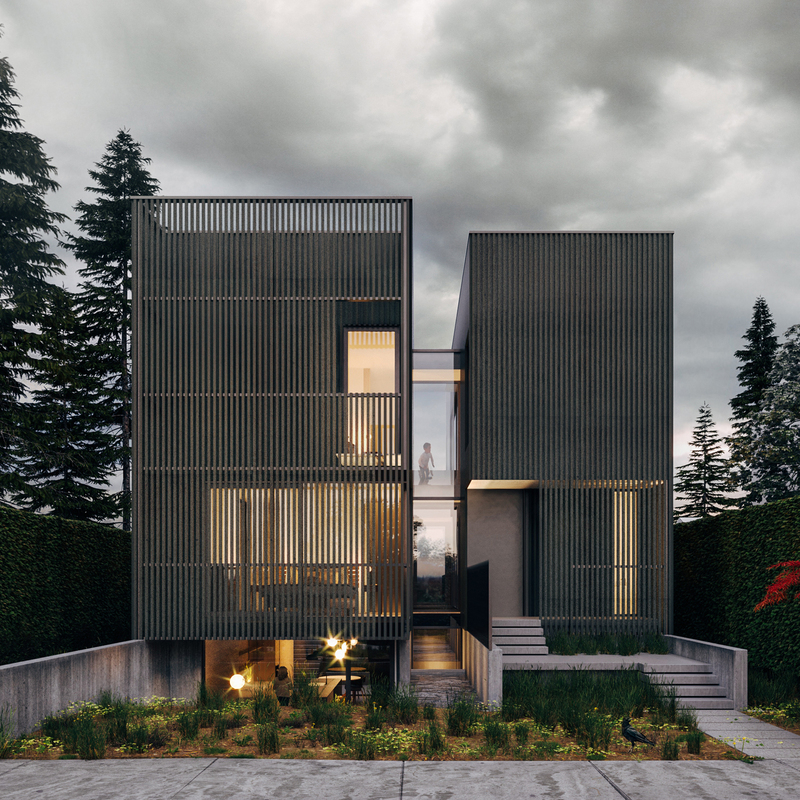 Full House is a multi-generational housing typology developed in the city of Vancouver. While this particular project is a contextual response to the economic, social, and urban conditions of this specific place, urban centers across Canada are bearing witness to skyrocketing real estate prices across, and a general increase in the numbers of adult children living with their parents. In a city where the average selling price for a detached house is now over $1,800,000 (over $650,000 for condos, and over $850,000 for town-homes), multi-generational living is the only viable homeownership option for many families. Regardless of whether the situation is a result of choice or financial necessity, the benefits of multi-generational living are becoming widely recognized: financial support, mutual benefits for young and old through childcare, decreased physical and emotional isolation for aging grandparents, as well as emotional bonding and closeness across generations. The benefits of multi-generational living– emotional, physical, and financial – are experienced by all family members. Adult children living at home can save money while going to school or working; spending time with young children can bring purpose and meaning to the lives of older generations, while the demands of keeping up with kids – both physically and intellectually – helps grandparents stay active and feel younger; the benefits to grandchildren include empathy, learning care and respect for elders, as well as important social role-modelling.